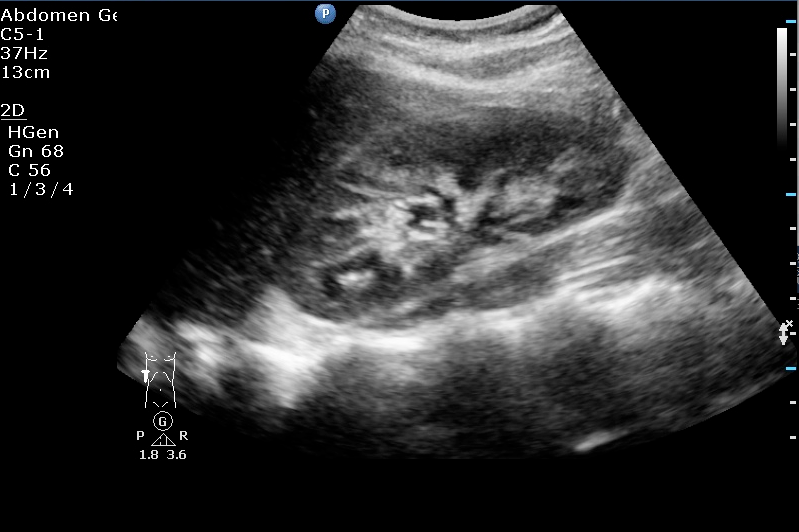 The ultrasound showed a right kidney with a little bit of hydronefrosis, mild at most, but the “money shot” was in the pelvis ..
A large cystic mass with anechoic to hyperechogenic content, some concrement-like structures were also seen within. 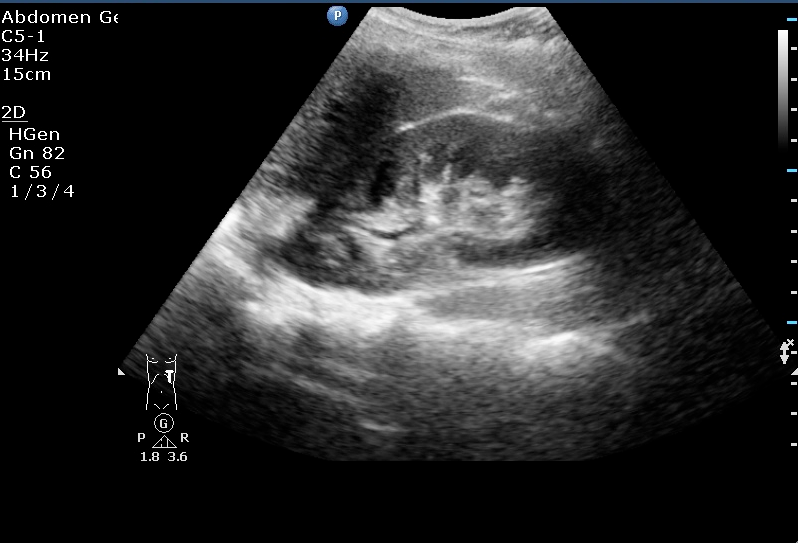 The patient was sent to gynaecology where a transvaginal ultrasound was done …. with similar findings. 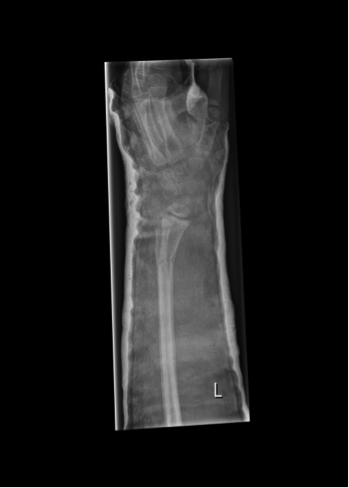 On basis of the findings of the ultrasound(s) she was brought to the OR. 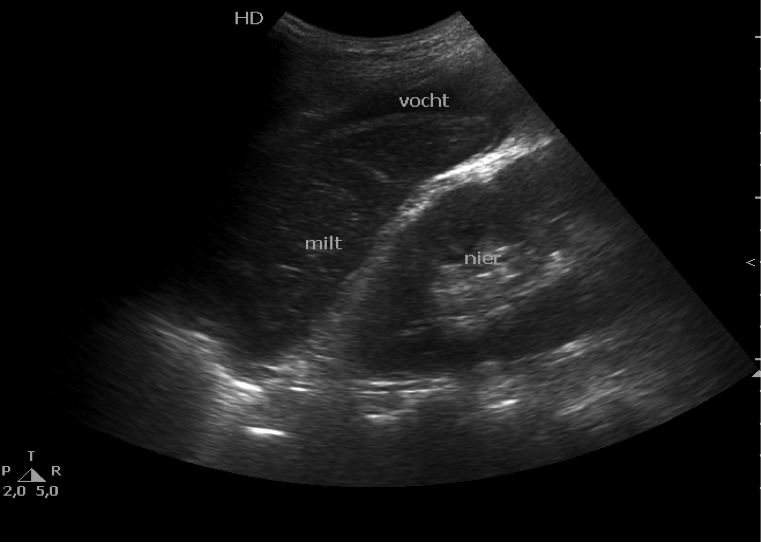 Where the gynaecologist found the large cyst (9 – 6 – 5 cm) which had facilitated a torsion of the right ovary. Luckily the ovary could be spared. 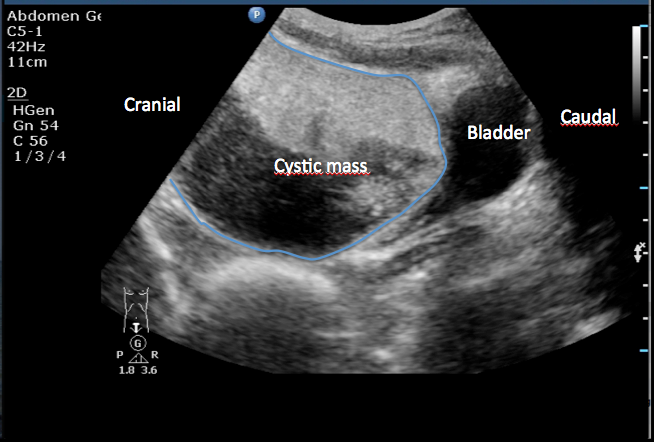 – Torsion of the ovary can be a tricky diagnosis, pelvic exam not always helpful. 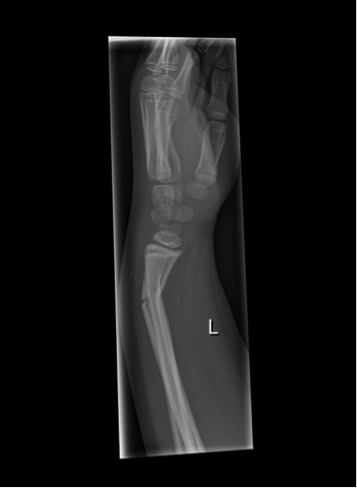 Love to hear your comments on this case …. 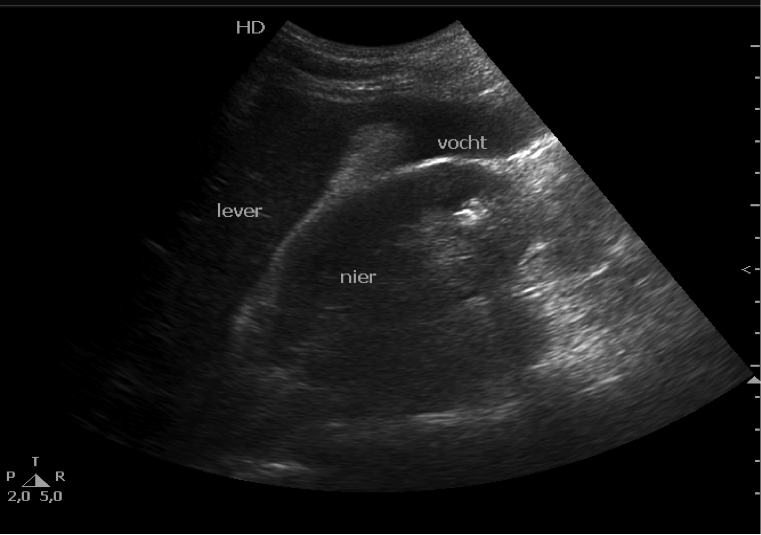 Check EMdutch in a month or so for the next emergency ultrasound case ! !